Transportation Secretary and CEO Stephanie Pollack announced the appointment of MBTA Fiscal and Management Control Board Vice Chair Steve Poftak as the new general manager of the MBTA. Poftak, who will succeed Luis Ramirez, brings to the position deep knowledge of MBTA operations and finances, 16 years of public policy experience, a network of relationships, familiarity with the key challenges facing the authority, and a passion for public transportation. "I am honored to be named general manager and look forward to partnering with the workforce, the FMCB, the Baker-Polito Administration, transportation advocates and others in accelerating progress toward improving MBTA service and reliability," said Poftak. "The more I have been exposed to the MBTA's workings from the inside, the greater respect I have for the ability of the MBTA workforce and managers to operate this enormously complex system every day and to develop and implement ways to improve performance. I am excited about leading the MBTA to provide a premier region with a premier transit agency." The MBTA and Ramirez, who became general manager in September 2017, mutually agreed that the time was right for him to separate from the MBTA and pursue other opportunities. "I was brought in to the MBTA from the outside corporate world to bring a fresh business perspective and skills to the MBTA," he said. "With the progress we have achieved around financial and operational execution, this is a good time to transition to someone with different skill sets." Ramirez said he is proud of what he was able to accomplish. "I loved working for the people of the Commonwealth," he said. "It's been a privilege to work with the employees of the MBTA, the senior management team, community members, and other stakeholders to understand the needs of our customers and to work toward service improvements. The MBTA workforce is among the most dedicated I have ever seen and I look forward to the positive results they and the MBTA will continue to achieve." Pollack, who is charged with hiring the MBTA general manager said, "Luis's decades of executive experience were valuable for the MBTA, helping to turn around key initiatives such as procuring a new operator for The RIDE dispatch center, advocating for bus lanes and ensuring on-time installation of Positive Train Control. We thank Luis for his important contributions to the MBTA and wish him well." Pollack added that the choice of Poftak was due, in part, to the recognition that seasoned leadership is a tool for success. "Steve Poftak is the right person to facilitate a smooth transition and continue the important work to reform the MBTA for customers," Pollack said. "Steve knows the personnel, he knows the issues, he knows the system, and most of all, Steve knows the importance of accelerating progress toward fixing the MBTA." Poftak, who served as MBTA interim general manager for three months in 2017, is stepping down from his current position of executive director of the Rappaport Institute for Greater Boston at the Harvard Kennedy School where he has served in that role for six and a half years. Previously, Poftak served for six and a half years as director of research of the Pioneer Institute. In addition, Poftak had spent approximately three years in state government working on the state budget, including experience managing the Commonwealth's $1.3 billion capital budget at the executive office for administration and finance. Poftak said he looks forward to working with MBTA Deputy General Manager Jeffrey Gonneville, who will manage the responsibilities of the general manager's role until Poftak officially assumes the position on Jan. 1, 2019. "Because of Jeff's steady leadership and experience, the MBTA is already getting better every day," Poftak said. "As a team, Jeff and I will be able to combine our skill sets to improve and modernize the system to give our customers the MBTA they expect and deserve." Fiscal and Management Control Board Chairman Joseph Aiello said Poftak is the right choice. "Since 2015, Steve and I have collaborated at our almost weekly FMCB meetings. I have developed a great respect for his professionalism, intelligence and commitment," he said. "With the rest of the board, we have learned about and acted to resolve many but not all of the financial, operational, and other challenges facing the MBTA." 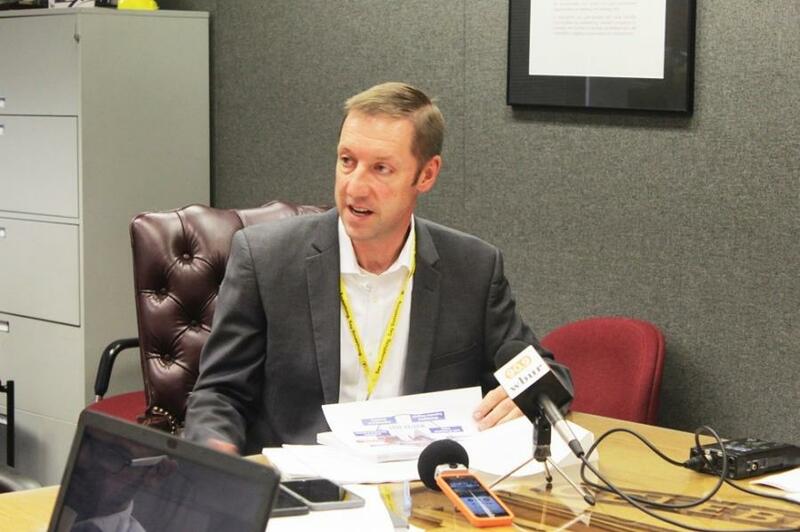 Aiello added, "For all the progress the Authority has made, we still have far to go before our customers begin to truly experience the improvements we know are underway. It turns out the best person to lead the T and deliver that much better performance was sitting right next to me." Steve Poftak has been executive director of the Rappaport Institute for Greater Boston at the Harvard Kennedy School since 2012. He has been the vice chair of the MBTA's Fiscal Management and Control Board since 2015 and has also served on the MassDOT board of directors. Previously, Poftak was research director and director of the Center for Better Government at the Pioneer Institute for Public Policy Research. He has led research projects and authored a number of papers on transportation policy, government efficiency, municipal finance, and job creation. Prior to that, Poftak worked at the Commonwealth's executive office for administration and finance, where he managed the $1.3 billion capital budget, prepared the state's quarterly cash flow reporting, and monitored non-tax revenue receipts.